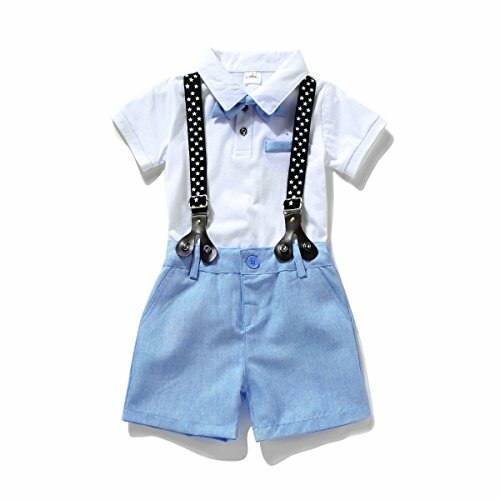 Miniowl ® Toddler Boys 2 PCS Set Gentleman Bowtie Polo T-shirt Bid Shorts Overalls (2t, White) by Miniowl at SCRHI. Hurry! Limited time offer. Offer valid only while supplies last. Baby boys clothing sets T-shirt+pant+tie+strap sets,cute kids outfitsSuitable for weddings, birthdays, parties, anniversaries, festivals, etc. Suitable for weddings, birthdays, parties, anniversaries, festivals, etc. If you have any questions about this product by Miniowl, contact us by completing and submitting the form below. If you are looking for a specif part number, please include it with your message.